This is a complete guide that shows you how to enable the Smart Stay option on your Android device. If you didn’t know, Smart Stay is a feature that detects if your face is staring at the screen so that it will disable screen timeout. 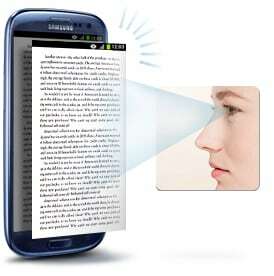 This is very helpful when your are reading something and you don’t want the screen to turn off every few minutes. Note that the Smart Stay feature may causing your battery to drain a little faster than it normally does, so don’t remember to turn it off when you don’t need it. Go to Settings using your preferred method. Check the Smart Stay checkbox and you will enable it.